Authentic vegetarian recipes from Karnataka, a southern state of India. Chithrana or Lemon Rice is a rice dish, Here in Karnataka it is very famous and people love to have them even for breakfast. I have just added capsicum and tried this chitranna. It taste nice and capsicum aroma adds to the taste. In South India, Rice dishes are very famous and common. May be because Rice is grown here. People have rice dishes for breakfast, lunch and dinner also. Previous day's left over rice is used as Chitranna (Lemon Rice) for breakfast some time. In festive and festival days fresh rice is cooked and prepared as some type of rice dish. Like Bisibele bath, (Dals, vegetables and rice is cooked with some spice), Vanghibath. (using vegetables especially brinjals dry curry is cooked and mixed with rice), or Rice vegetable Palav, ( Though Palav has come from North India, people especially children love to have Vegetable Rice) and many more rice dishes are prepared. Rice provide carbohydrates and gives energy. These rice dishes are also used as lunch and packed for offices as lunch box. 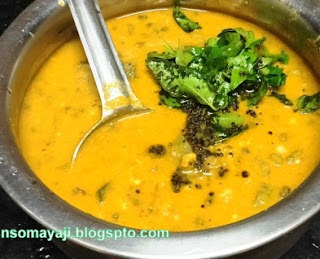 Let us see This Special " Capsicum Chitranna" recipe. It is an easy and quick dish. No Onion or No Garlic used in this Rice Dish. Prepare the rice and let it cool. Then prepare " Capsicum Rice". 1. Wash and cook rice and let it cool. 2. Wash and cut capsicum into thin pieces, slit green chilly and grate ginger and keep it aside. 3. Grate/dry grind coconut and keep it aside. 4. Keep a pan on the fire and heat. Add oil, mustard seeds and urid dal. 5. Let mustard seeds splutter. Add slit green chilly and curry leaves. 6. Add cut capsicum and fry nicely till soft. 7. Add cooked and cooled rice. Add turmeric powder, grated ginger and salt. Mix it nicely. 8. Add grated coconut and lemon juice. Mix it nicely and put off the fire. Add ghee and mix it well. 9. Shift the ready chitranna to a serving bowl and serve. 10. Serve with papad and a cup of curd/yogurt. Fry capsicum nicely so that the rice mixes well with rice. Adding onions to chitranna is optional. Adding grated carrots to chintanna is optional. Adding ghee is optional. You can use little more oil instead. Adding more chilly is optional. Time : 20 Minutes + Rice cooking : 20 Minutes. Serves : 2 to 3. Sona Masoori Raw Rice : 1 Cup : 2 1/2 of- to 3 cups of water. Basumati Rice : 1 Cup Rice : 2 Cups of water. Avalakki Dosa (Flattened Rice Dosa). My name is Nalini Somayaji. Teaching is my profession. Cooking is my passion. Reading, travelling, visiting new places, having fun with kids are some of the hobbies I can say. My recipes are Healthy, quick, easy and simple. Grown up being a traditional family member I love and respect Indian culture and traditions. Love classical dance and music. 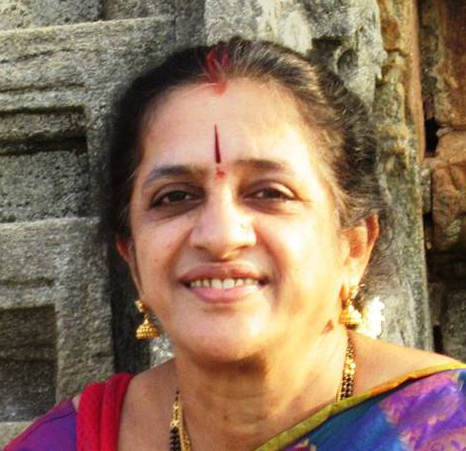 (C) Nalini Somayaji 2015. Watermark theme. Powered by Blogger.